Baby’s crooked head exam consisted of two separate parts. First she had a special machine analyze the shape of her head. 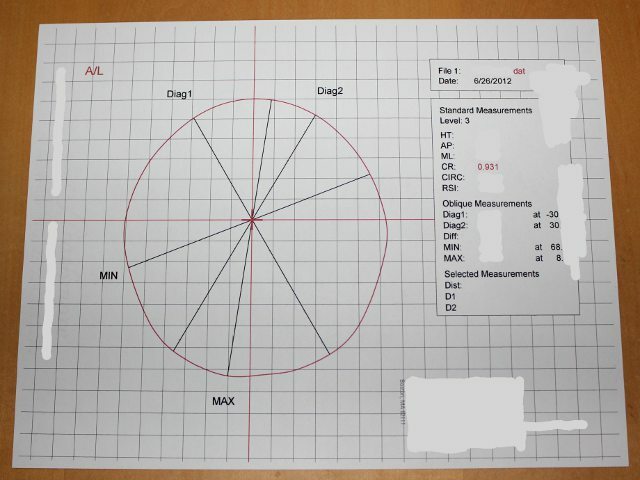 Then we took the graph of her head to the appointment with the neurosurgeon to get a consultation. The report shows an outline of her head shape on the left and more detailed numeric information on the right. The circumference number shows that Arya’s head is too much of a circle. The ideal head shape is a rounded oval. The peak of her head–the max value–and the valley–the min value–are slightly misaligned as well. Her neurosurgeon recommended waiting another month to see if baby’s head corrected on its own. Since her head circumference is improving and she can now hold her head up, we would expect that her head shape should get better over the next few weeks. 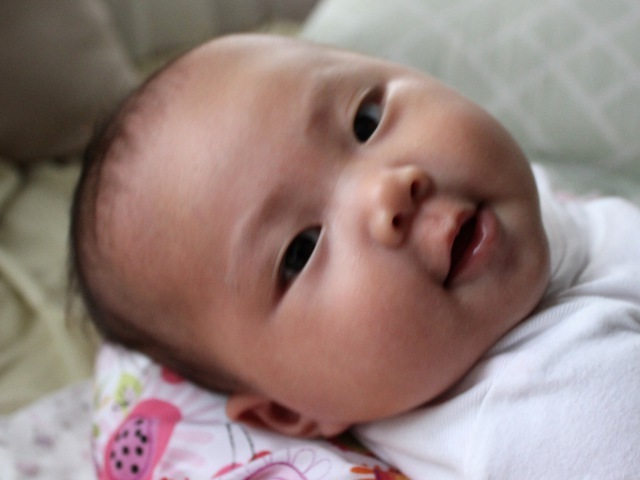 Her crooked head is a version of plagiocephaly, otherwise known as flat-head syndrome. For now the best recommendation is re-positional therapy, but we will consider a cranial orthotic if baby’s head is still crooked in another month.